OCTOBER 2015, HIGH POINT, NC - Understated contemporary elegance comes to life in the Lake Shore Drive Collection, named for the iconic street in Chicago, the epicenter of the Mid-Century Modern design movement. Stainless steel and matte brass accents, bold geometrics, architectural shapes reminiscent of skyscrapers and a warm swirl ash veneer in two finishes create an exciting Mid-Century Modern look that "would be right at home in a high-rise penthouse on Lake Shore Drive," said Marge Carson's Director of Design Christine Rendino. "We felt Chicago was the best reference for the Lake Shore Drive Collection, because it is a modern sophisticated look that still retains enough casual comfort to have a Midwest appeal," she said. The extreme popularity of Mid-Century Modern influences in architecture and interior design makes Lake Shore Drive "very current and exactly right for today's market," she said. "It is well scaled, clean and sophisticated, and it is not too formal or too casual - it is just right." She added, "People are looking for something that is more comfortable and livable, something familiar from the past that still works with today's clean architecture." In a classic Mid-Century Modern interpretation in the medium dark Contemporary Havana finish and matte brass hardware and accents. Bold geometric patterns that are the hallmark of the Mid-Century era will be combined with warm tones for a dressy, sophisticated ambience. A modern Mid-Century interpretation in the very dark Bombay finish combined with stainless steel hardware and accents. Earth tones and textures will create a casual, comfortable setting. The 60-piece Lake Shore Drive Collection offers a fresh spin on Mid-Century Modern through exciting stainless steel and brass hardware in Mondrian-inspired artistic grid patterns; through mixed media such as alabaster stone accents on key pieces like the rectangle dining table, sideboard and entertainment cabinet; a high-gloss Caviar finish used as an accent on selected pieces, and abstract shapes such as stacked blocks and sticks on some table bases. In addition, Marge Carson has added a new type of top to selected case pieces for the collection: laminated stainless steel or matte brass tops, "giving it a little more modern edginess, yet more flexibility and usability," Rendino said. The understated elegance of the Lake Shore Drive Collection is especially evident in the display cabinet, with its simple, clean lines and crisp contrast of the dark wood finish and stainless steel or brass grids and accents. A beautiful swirl ash veneer pattern on the table top is accented by an ebonized inlay. The base combines alabaster stone and matte stainless steel and the Contemporary Havana and Bombay wood finishes. 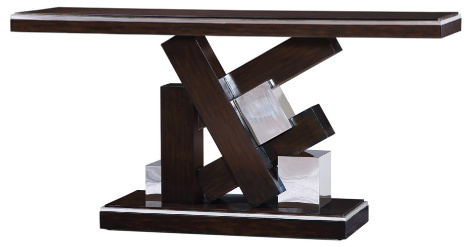 Interweaving architectural shapes reminiscent of a skyscraper and girder combine with wood and stainless steel to create a bold and timeless design. 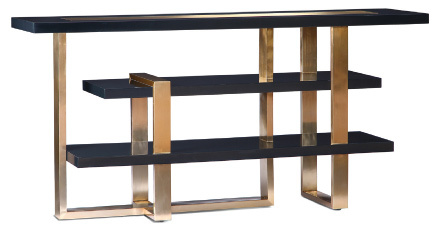 Like a piece of abstract art, this contemporary console table combines wood blocks clad in stainless steel or matte brass with beam-like wood forms on the base. 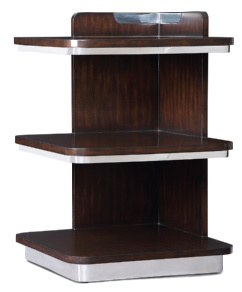 This three-tiered table has 3 shelves in swirl ash veneer, accented by stainless steel.  The channeled headboard can be ordered in customizable heights ranging from 62 to 98 inches high based on the size of the upholstered channels, separated by strips of wood. 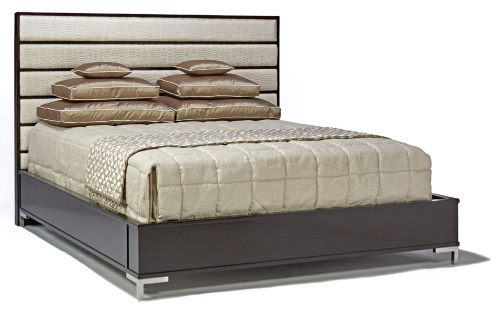 Rectangular metal tube legs complete the modern look of the bed. 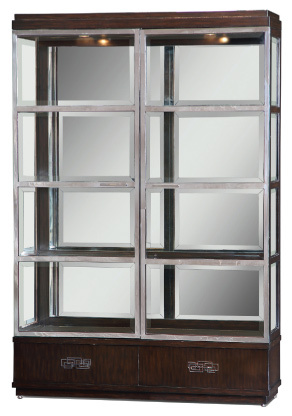 Sparkle, drama and elegance is added to Lake Shore Drive through this mirror crafted of handforged steel surrounded by a wood border and framed in star-shaped forged metal. 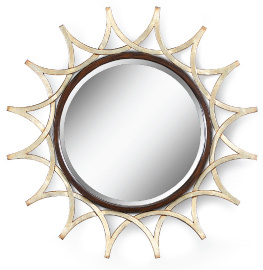 The matte brass or stainless finish can be used on the starburst frame. 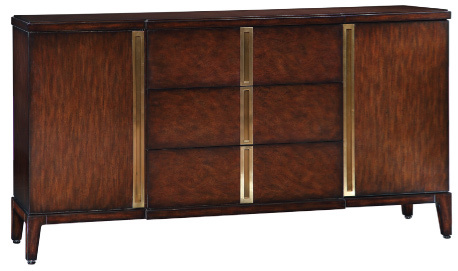 Shown in Contemporary Havana finish with Matte Brass hardware. Ample space with two adjustable shelves behind each side door and three drawers. 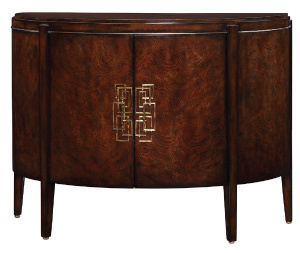 The swirl ash veneer face of this piece has dramatic impact on the curved-front silhouette, making it very classic to the Mid-Century Modern era. The Mondrian-inspired artistic grid hardware is adapted from a vintage 60-year old furniture piece.